TAUNGGYI, Myanmar – Wearing a white t-shirt emblazoned with the national census logo, Tin Naing counted off the ethnic groups living in just one section of this regional capital in eastern Myanmar. “Bamar, Shan, Pa’o, Intha – maybe 10 altogether,” said the bespectacled schoolteacher, who was overseeing 40 census-takers who had been out since dawn Sunday at the start of a 12-day nationwide exercise to count how many people live in this once-ostracized Southeast Asian country. Documenting Myanmar’s array of ethnicities is but one of the challenges facing the country’s first census in three decades, with critics saying it could spark civil strife by asking delicate questions about identity and religion. Adding to the controversy, on the eve of the census the Myanmar government reneged on a pledge to allow a stateless Muslim minority to list themselves on the survey. The government says the census is needed to buttress hopes for continued economic growth as Myanmar transitions out of five decades of military rule and heads toward elections in 18 months. Myanmar President Thein Sein said citizens should see providing census information as “a national duty” since accurate data are needed to underpin economic development in what remains one of Asia’s poorest countries. “We cannot do proper planning in health, in education, in the economy, unless we have a census,” said Aung Tun Thet, an economics advisor to the president. An army of 100,000 mostly young schoolteachers will go door-to-door until April 10 in an undertaking that will cost about $74 million, most of it financed by foreign donors. 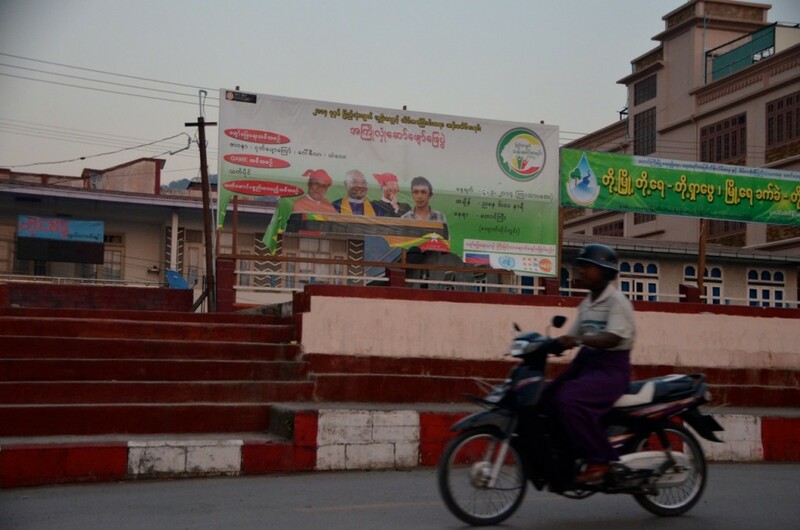 In the Kyaungyi Su quarter of Taunggyi, the regional capital of eastern Myanmar’s Shan state, Tin Naing said he expected the census to pass without incident, despite the town’s mixed population and disagreements about how some groups are categorized. “We hope it will all go smoothly, though it will be a lot of work,” he said. Ethnicity and religion are deeply divisive propositions in Myanmar, one of Asia’s most diverse countries. The military junta that ruled for a half-century elevated Bamar, or Burman, ethnic identity above tens of smaller groups, and fought often brutal wars in restive minority areas. An ethnic rebel group, the Kachin Independence Army, said it would not allow the census to take place in areas it controls, near the Chinese border, where the rebels have been waging a low-level war with the Myanmar army since 2011. Activists said that as much as 35% of Kachin state would be left out of the census. Burmans, the majority group from which Myanmar’s old name, Burma, is derived, make up perhaps 60% of the population, with the remainder made up of groups such as the Kachin, Kayin, Mon, Rakhine and Shan. Most live in far-flung regions closer to India or China or Thailand than to Yangon, the country’s main city. For many minority representatives, the census categorizations are messy and antiquated, drawing on a disputed list of 135 “national races” used in previous citizenship regulations. Most controversially, the name of a long oppressed Muslim minority, the Rohingya, has been left off the census form, prompting some Muslims to say they would self-identify themselves as Rohingya under the “other” category. That drew anger from majority Buddhists in coastal Rakhine state – from which most Rohingya hail – and triggered attacks against aid workers accused of favoring the Rohingya. The medical charity Doctors Without Borders was banned from Rakhine in February after it treated Rohingya villagers who were allegedly injured in attacks by Buddhists. The attacks were reportedly carried out to avenge the murder of a Myanmar policeman that Buddhists blamed on Rohingya. The effectively stateless Rohingya – whom the Myanmar government regards as illegal immigrants from Bangladesh – are widely described as one of the most persecuted minorities in the world, with hundreds of thousands living in apartheid-like conditions and over 130,000 left homeless by communal fighting. Aid agencies working in Sittwe, the Rakhine regional capital, were driven from the town last week in rioting said to have been sparked by a foreign aid worker’s alleged desecration of a Buddhist flag. The violence came a few days after a visit to the town by Wirathu, a Buddhist supremacist monk from central Myanmar who is accused of fomenting anti-Muslim violence in the past. The Myanmar government set up an inquiry into the riots, but by Saturday it appeared to have caved in to pressure from Rakhine Buddhists. “If a household wants to identify themselves as ‘Rohingya,’ we will not register it,” said government spokesman Ye Htut. Roughneen is a Times special correspondent. Times staff writer Shashank Bengali contributed to this report from Mumbai, India.